50K square miles of lawns in the U.S. alone. $30 billion is spent annually to maintain them. 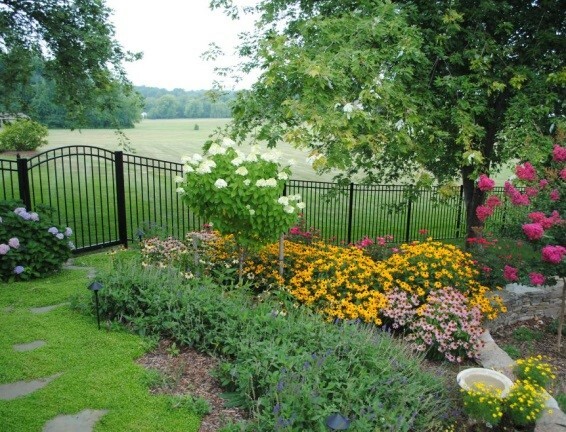 60% of the average yard is lawn. Pollution emitted by1 hour of mowing equals 100 hours driving a vehicle. 10,000 gallons of supplemental water is used on a typical lawn in a year. 90 million pounds of pesticides are applied to our lawns annually. 10x more pesticides are applied per acre to lawns than per acre to farm crops. 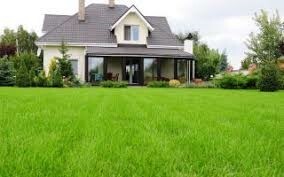 Americans have long been obsessed with having a lush, green, chemically treated lawn, which is mowed to within an inch of its life, as a status symbol, or the culmination of a successful American Dream. How has our quest for these “perfect” yet lifeless patches of green affected the ecosystem and environment? We are so concerned with fitting in to the typical ideal and standards set by an HOA or lawn obsessed neighbors that we just go along with what the “standard” is without ever considering the consequences. While there are certainly pros to having grass as lawn it is not necessary for it to be the only life form. Take a moment to assess how much lawn you need in your yard. Instead of grass being the default, decide where you need grass as walking paths, play areas and places to gather for outdoor activities then begin to remove the excess lawn. What areas can you begin to give back to nature, places where biodiversity can thrive? Where can you add more gardens with native plants, shrubs and even trees, or a water feature such as pond? Where can you replace grass with ground covers, mosses or ferns—do you have a shady trouble spot that these would work well in? Use a push mower to reduce the amount of pollution caused by a gas-powered mower. Use environmentally friendly options such as compost, limestone, sl.ow release rock fertilizers, grass clippings and fallen leaves as fertilizer. Use native grass mixes in place of traditional grass-They require less maintenance (including watering and added nutrients) than “exotics”. The chemicals typically used in lawn upkeep include many harmful chemicals but because they are so commonly used we wrongly assume they must be safe. Just as Rachel Carson wrote that the use of pesticides commonly used to kill “pests” in our yards was harmful to wildlife, the fertilizers used in lawn care are having negative effects on not only many wildlife species but humans as well. Those chemicals are brought into our homes on the bottoms of shoes and contaminate the inside of our houses. These chemicals that are applied so heavily to our lawns runoff into our waterway, causing harm to aquatic life as well. “Weed and Feed” products are spread over the entire lawn but there are only 2-5% “weeds” in the lawn so the remaining 95-98% serves no purpose and ends up as runoff into our streams, rivers, lakes, and Bay. EPA only requires companies to list active ingredients in their products but many of the inert ingredients contain harmful levels of solvents. Nutrient Waste: water soluble synthetic fertilizers are immediately absorbed into the roots but what happens to the excess? Once again it is running off into the watershed, causing algae and phytoplankton blooms which use up all the oxygen choking off sea life. Be a positive example to your neighbors—grow a healthy organic pesticide free lawn. Create a demand for organic fertilizers by asking our local stores to carry them. Control weeds prior to germination. Apply natural fertilizers such as corn-gluten meal (20lbs per 1,000 sq. feet) in early spring. I would love to hear how you have eliminated some of your lawn in the past or what steps you are going to take this year to reduce the amount of lawn you have. Even small changes can have a big impact on the ecosystem and cause an increase on biodiversity that can positively impact the environment and slow down climate change. The result will be less pollution emitted, reduced water consumption, decrease in harmful chemical runoff, and an increase in biodiversity! Please comment on our lawn reducing efforts!